The least spoken of prophecies pertaining to Our Lady of Fatima and the whole Fatima story is the prophecy of the “annihilation of nations.” Perhaps the reason for this is because this is believed to be a prophecy still to come. However, I think that while there is always the future possibility of the annihilation of whole nations through war, nuclear or otherwise, or natural disaster, there has been an “annihilation of nations” every year for the past forty years. But of hearing the words of the Lord” (Amos 8:11-12). It is this new famine which has annihilated the nations and continues to do so – a famine of listening and not hearing, of viewing and not seeing. This famine’s fruit is a society whose ethos is “death”. The 20th century has been noted for its magnificent achievements, yet it has also been marked by its crossing over the fine line between the human and non-human. Perhaps this is the way of humans. They simply do not know when or how to stop. For every marvellous life-enhancing invention or discovery, there has been its anti-life downside. We have reached the moon, extended human life for those who can fund this life, yet decreed that other life, whether foetal or handicapped or unwanted, is disposable. The story of Fatima began in 1917, and since then the world has succumbed to the depravity spoken of by Our Lady. Indeed all her prophecies have come to pass. The flaming sword of Fatima (Third Secret), the rays from our heavenly Mother’s hands, the falling corpses led by the Holy Father, the roughly hewn cross, and the words “penance, penance, penance”, should have alerted us that all is not well. The thrice-repeated word “penance, penance, penance” underlines this word’s urgency, for Biblical writing always stresses something important by repetitions, e.g., “holy, holy holy”. In other words, extreme penance is required by humanity in order to call down graces through Our Lady’s hands in order to avoid the deserved justice of God. The role of Mary in the plan of Salvation gives us much hope that indeed all is not lost. Where the human person is negligent and despising, Mary “fulfils all righteousness”. Where human mothers take their children to be aborted (in the proportions of whole national populations annually) the heavenly visitor, Queen and Mother, comes and gathers the unwanted children and gives birth to them in Her heavenly realm. Our heavenly Mother is always on hand as intermediary so that whatever the spirit of evil might occasion on earth, the Spirit of Holiness can still counter things from above. Hence Mary gathers her “aborted nations” year in and year out, and mothers these children in her maternal bosom. And as she gathers and holds the broken bodies of her aborted infants and abused, abandoned, Aids-infected children, she remembers holding her own beautiful son with his body broken in her arms. Indeed both images mirror one another: 50 million times per year a broken infant is held in her arms and 50 million she remembers. This annihilation has been occurring (in some nations legally) since the Roe v Wade (1973), (United States) and Menhennitt Ruling (Australia) which declared infants in the womb to be not human. The Queen of Heaven came to Fatima to advise, help and warn. As at Cana in Galilee (Jn 2:1-11) Mary exercises on behalf of human creatures her role of Mother and Queen. As such her advocacy cannot be denied her by her kingly Son (1 Kings 2:10). She came to intercede for and on behalf of, not only the annihilated victims but also those who would annihilate them. The Queen Mother came to Fatima to intercede just as surely as she interceded at Cana, and just as she came to Calvary to hold broken children in her arms. She came to gather the harvest of souls “despised and rejected by men” (Is 53:3) and to call for thrice deep contrition and penance. She came not to call attention to the fantastical but to the loss of millions of human beings brought about through human malice rather than divine intention. This “annihilation of nations” has been indeed occurring before our eyes, yet we continue not to see it. And while the wailing of the innocents can be heard by those who have ears and want to hear, sadly, there are not many who want to hear. 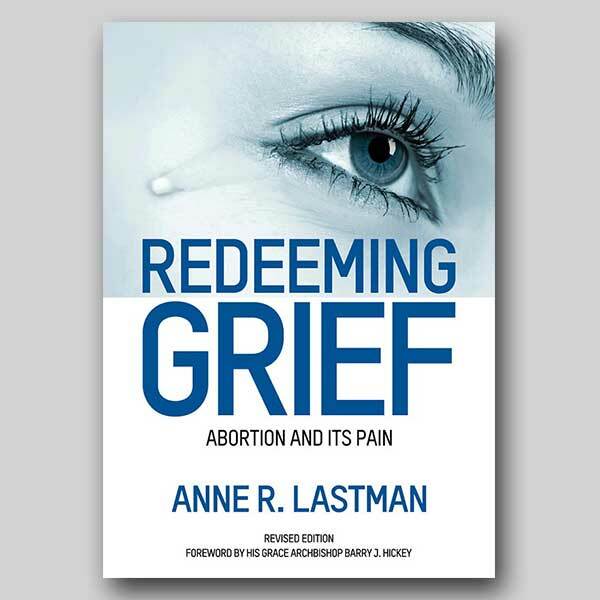 Anne Lastman is a Post Abortion Grief Counsellor and founder of Victims of Abortion, PO Box 6094, Vermont South 3133, Victoria Australia, tel 0408 175 033.